We're joined by Democratic Rep. Laura Sibilia of West Dover, the lead sponsor of H.444, a bill that would implement ranked-choice voting in some Vermont elections. And by Republican Rep. Robert LaClair of Barre Town, who has concerns about the bill. Plus we'll hear from Kyle Bailey of The Committee for Ranked Voting in Maine. Broadcast live on Friday, April 12, 2019 at noon; rebroadcast at 7 p.m.
On Tuesday, Maine primary voters will participate in a ranked-choice voting experiment so unprecedented that the state’s top election official sometimes compares what’s about to happen to a perilous space mission. 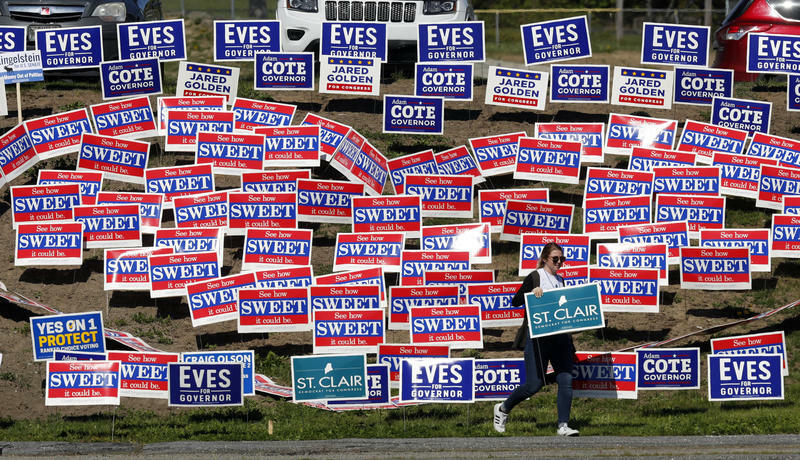 Ask Bob: Why Is Early Voting So Popular In Vermont? There’s been a surge in early voting in many parts of the state this year. Why are more people turning to the early voting system and could it eventually lead to things like internet voting in Vermont? Should Non-U.S. Citizens Be Allowed To Vote In Local Elections? There was a time when non-U.S. citizens could vote in elections where they resided in this country. But anti-immigrant feelings in the late 19th and early 20th century changed that. Winooski and Montpelier are now exploring ways to allowing their non-citizen residents to vote in local elections.